Do you participate in any scrapbook challenges? 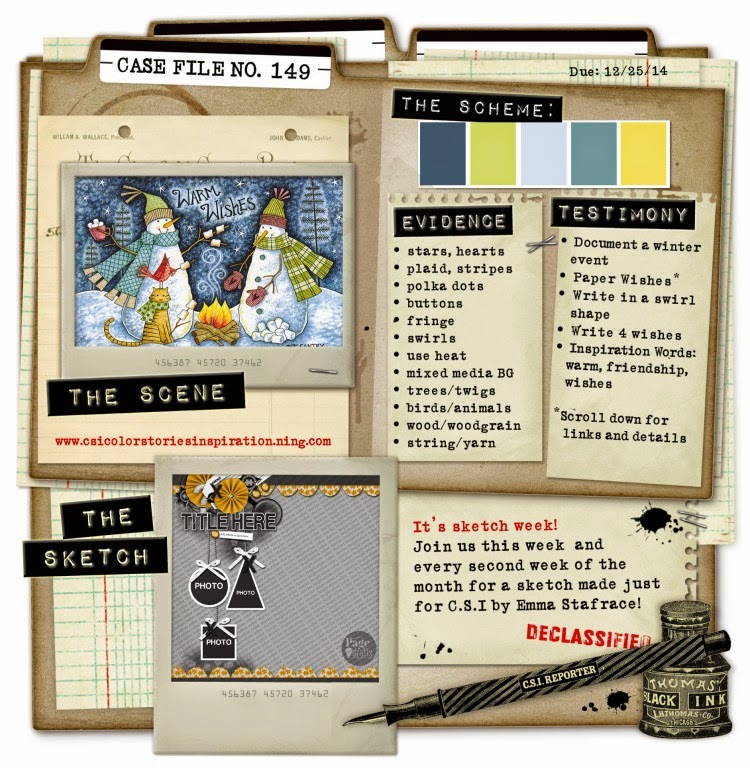 My favorite challenge site, CSI, has a fun Case File going on right now. The reason I love CSI challenges so much is because they really push my creativity. They make me think outside of my personal style and always end up create something I love. Before jumping into the challenge, check out how the challenge works. It's so much fun and I highly recommend playing along. gorgeous! love the hanging elements! Well this is sure adorable!! Good news! :) Can you please email me at fishquad (at) comcast (dot) net ?? Thanks so much! Michele w/Lasting Memories.